Providing you the best range of mill trussless roof with effective & timely delivery. 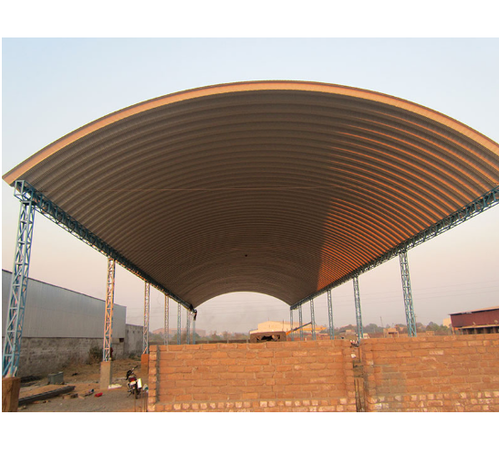 Mill Trussless Roof is fabricated with quality material and available in different ranges and thickness. Manufactured with modern technology to filter UV rays, helps to protect the machines from deterioration. Light in weight with an excellent finish of international quality, cost saving and fast installations makes it ideal roofing solution for the customer. Looking for “Mill Trussless Roof”?